1.1 Greenwich Royals Swimming Club ("GRSC") is a members' club, governed by a voluntary Committee elected by and answerable to the members. Note: Swimmers in Youth, Club and Masters are able to swim in galas should they wish to and where applicable, if the coaches select them to do so. 2.2 The Youth and Club squads are primarily for those swimmers who may not be able to train too often but wish to swim regularly as part of a club, stay fit and see their friends. Swimmers in these squads are able to move into the competitive squads should they wish to swim more regularly and step-up their training. 2.3 The Youth and Club sessions also cater for those swimmers who would normally be in one of the competitive squads but are unable to train as often as they usually do because of other priorities such as exams i.e. they can move into Youth or Club for a period and then re-join the competitive squads should they wish to do so. 2.4 The Youth and Club sessions also cater for those swimmers who would normally be in one of the competitive squads but are unable to train as often as they usually do because of other priorities such as exams i.e. they can move into Youth or Club for a period and then re-join the competitive squads should they wish to do so. 3.1 The Head Coach and the rest of our coaching team are responsible for fostering a positive and friendly 'all inclusive' culture throughout the Club. 3.2 Kim Longland is our Head Coach. He is an ASA Coach and Tutor, and has coached numerous swimmers to national and international success. Kim was born and bred in the borough, and is dedicated to developing local talent from Greenwich and the surrounding area to achieve the goals to which they aspire. 4.1 With exception to some of the coaching staff, GRSC is run on a voluntary basis, which helps to keep the costs of running the Club to a minimum. The Committee also works hard with GLL / Greenwich Council to secure sufficient pool time at a price that helps keep its fees low. 4.2 A one-off fee joining fee of £25 applies when someone joins the Club for the first time, or re-joins after a period away. Squad fees are set out below. 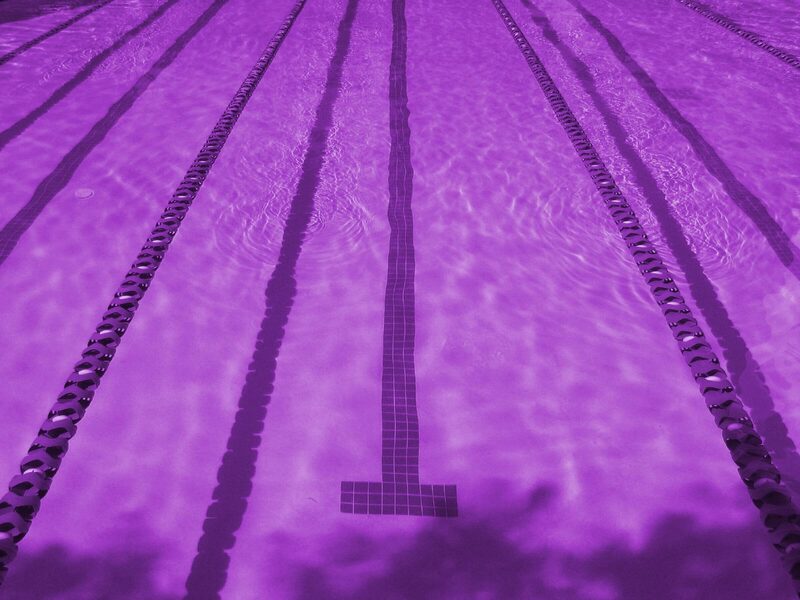 The Club believes these are considerably lower than any other swimming club in the area, especially one that strives to provide opportunities for everyone to achieve what they want to achieve as a swimmer. 4.3 For any family with more than 2 swimming members, the 3rd swimmer is free (please note, this does not apply if any of the swimmers are in LTS, Mini or Masters). 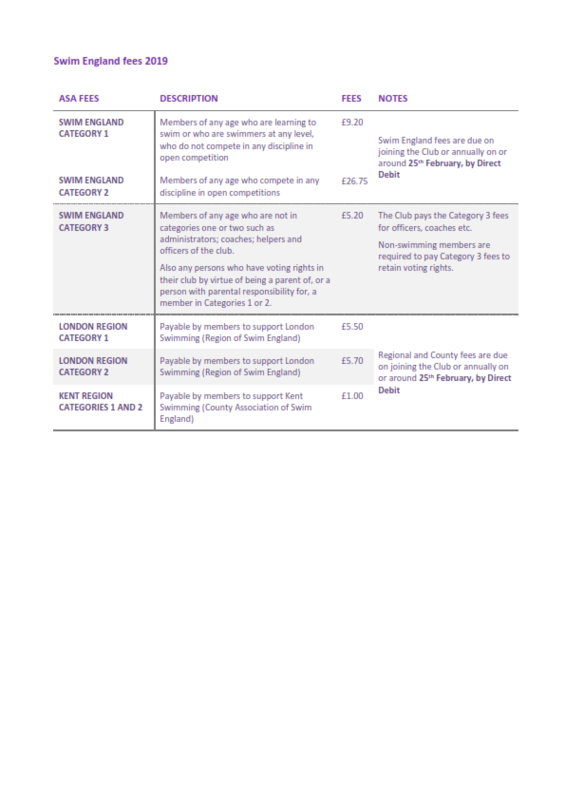 4.4 The Club has different types of membership, which are set out in the Club's Constitution and By-Laws (available on the website: www.grsc.co.uk). 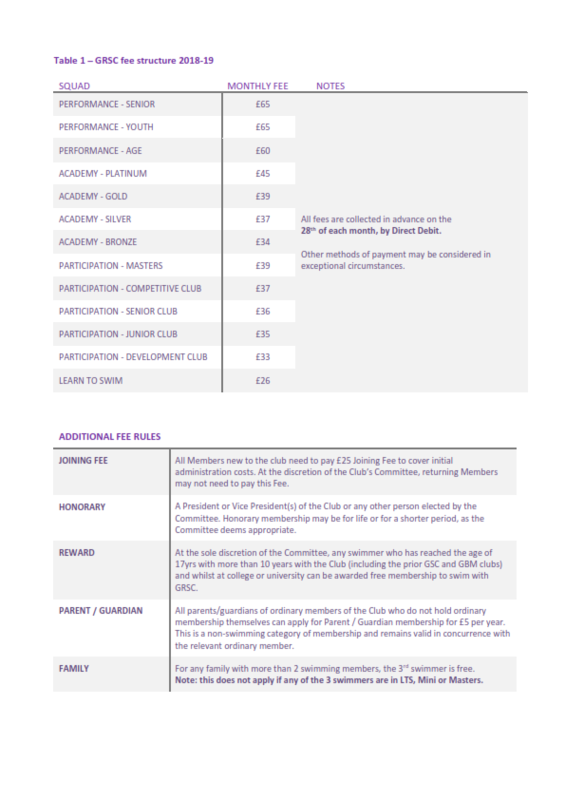 Those swimming with the Club are 'Ordinary' members and the table below sets out other types of membership and fees. 4.5 All members are also required to pay annual ASA fees as detailed below.